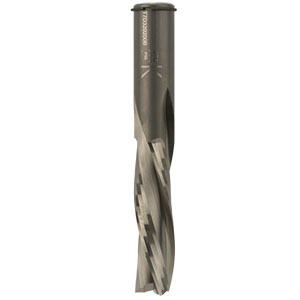 A range of three flute spiral cutters, which give an excellent top and side edge finish. The down-shear action holds the workpiece down but forces the chips down on the spoil board. 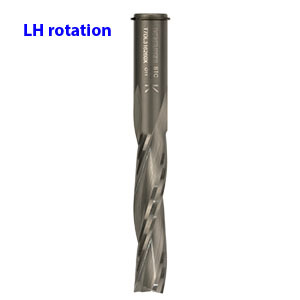 A limited range is available in LH (anti-clockwise) rotation. The cutters are supplied with a locator circlip, which may be removed if not required.